The Bonzer Heritage Roll Bag is the only way to carry your Bonzer Heritage Barware. 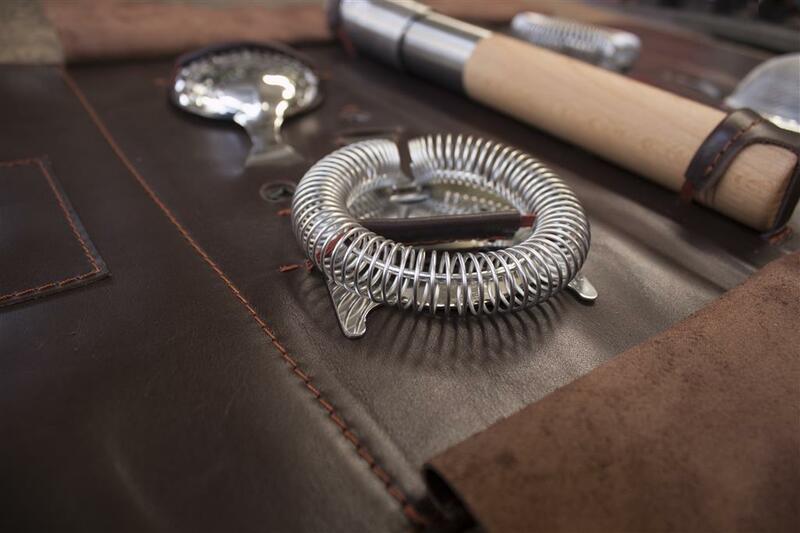 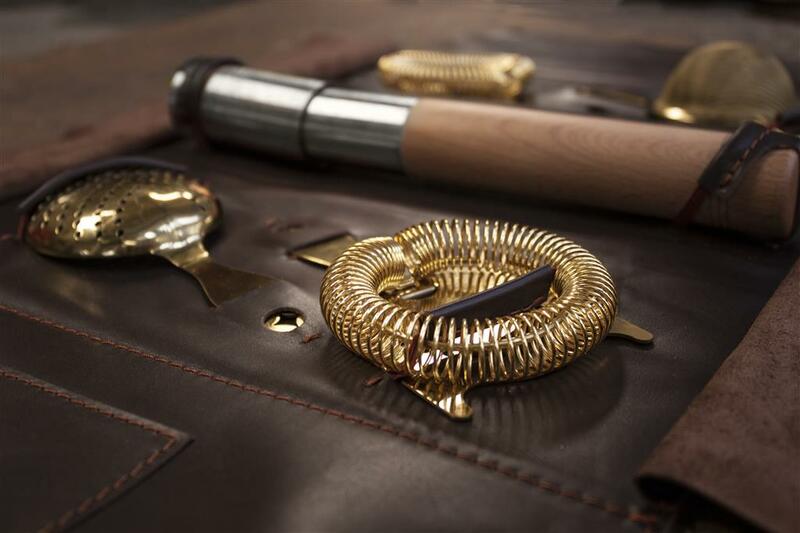 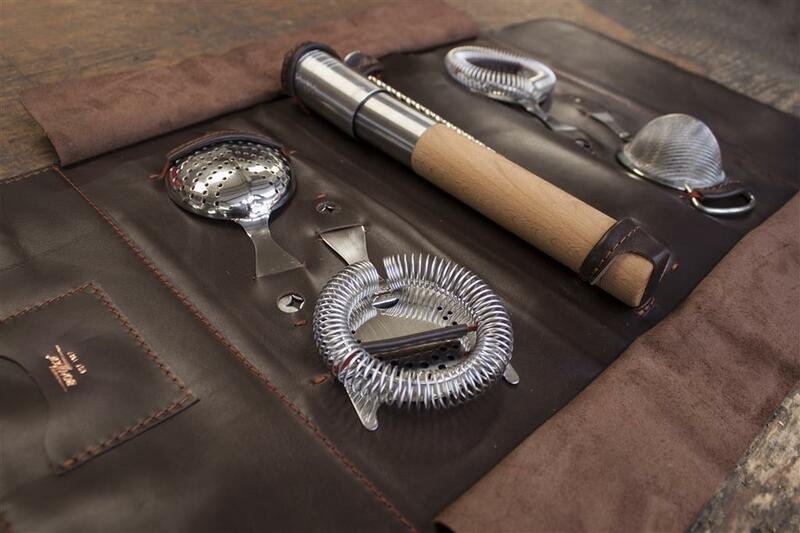 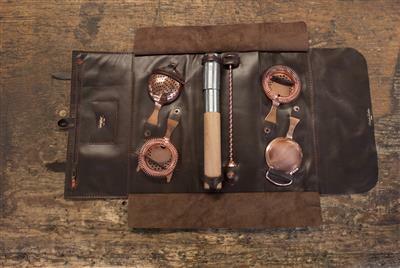 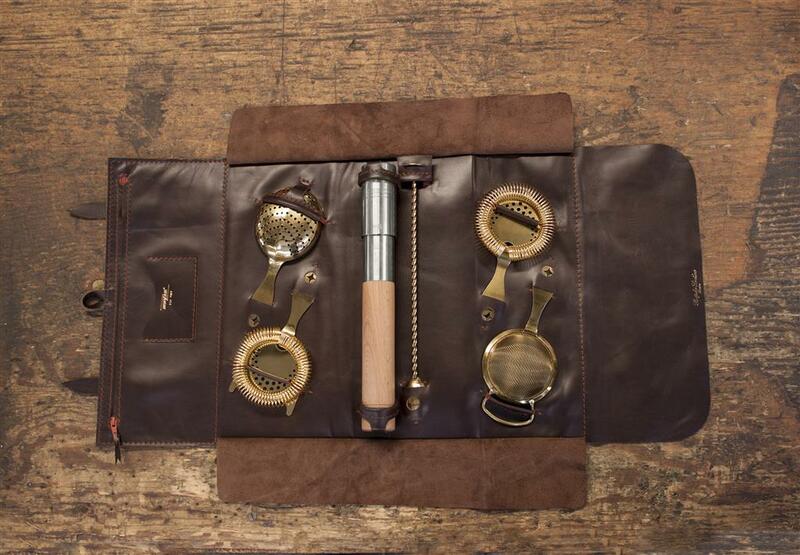 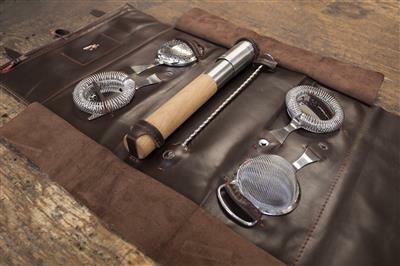 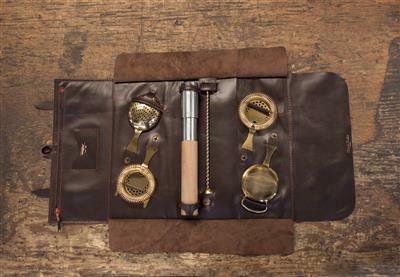 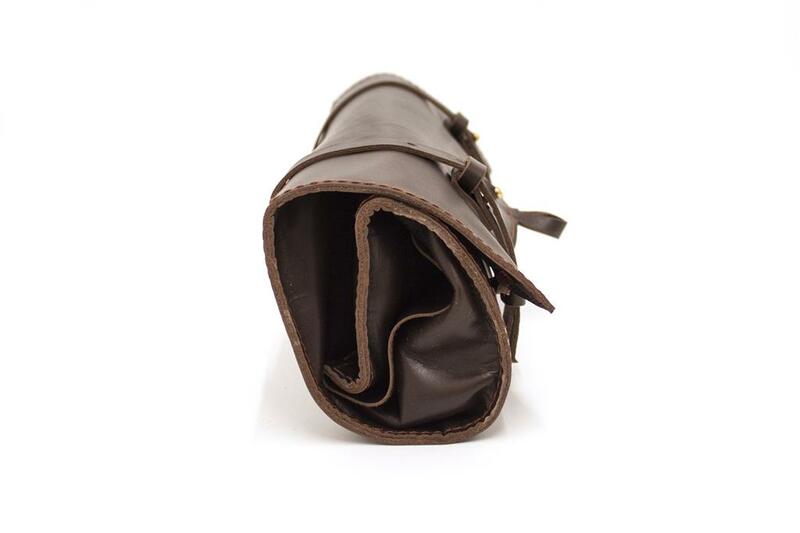 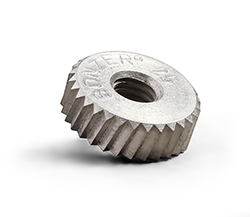 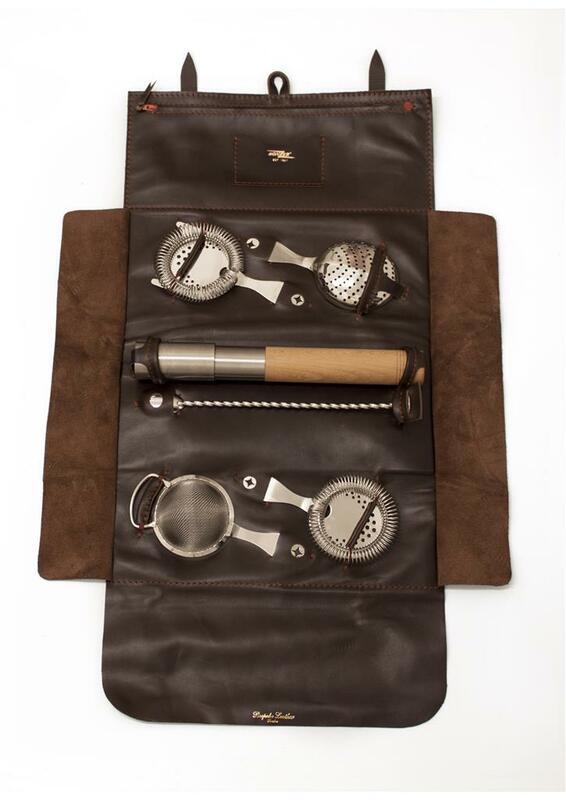 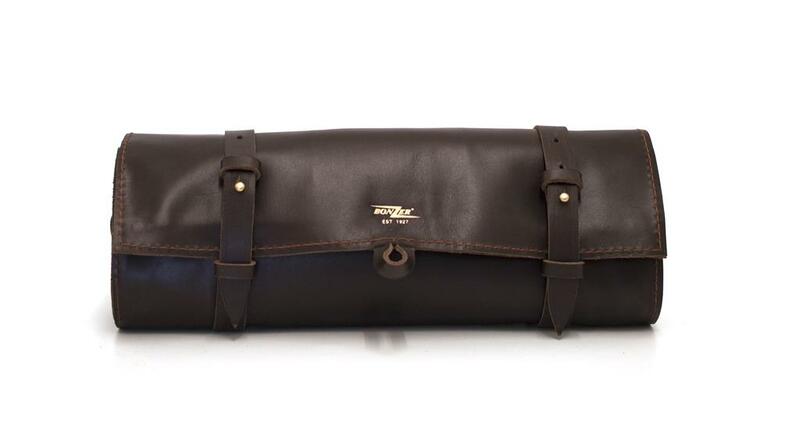 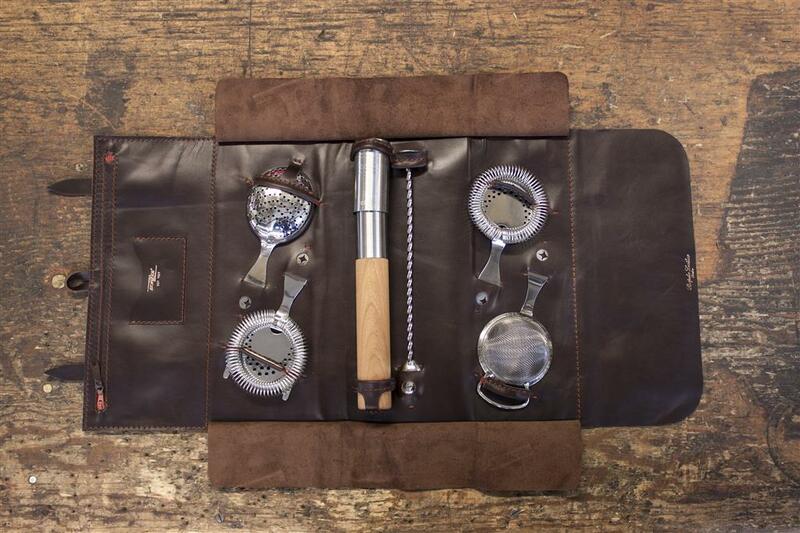 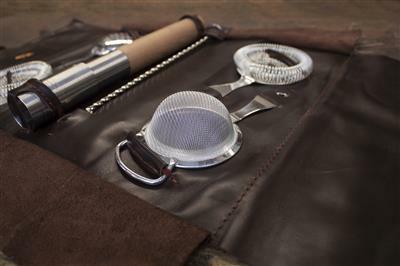 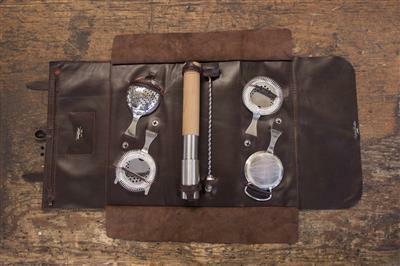 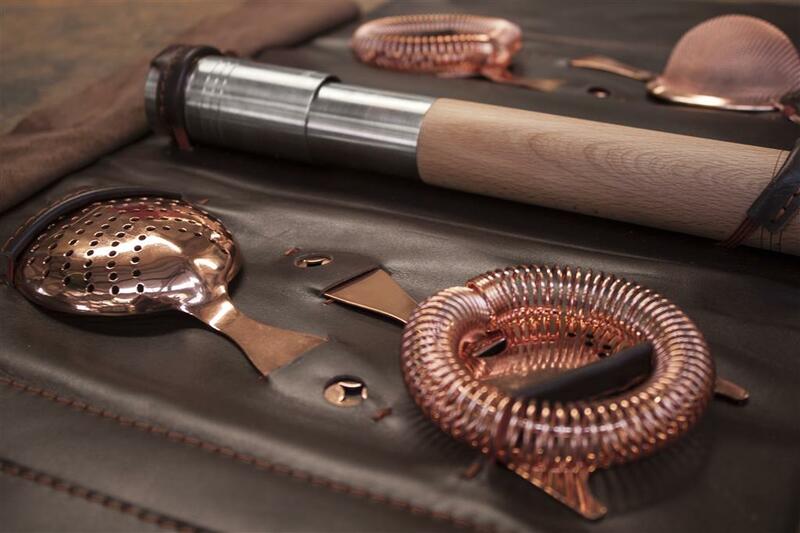 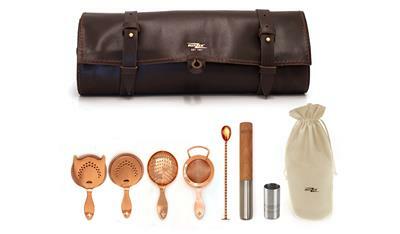 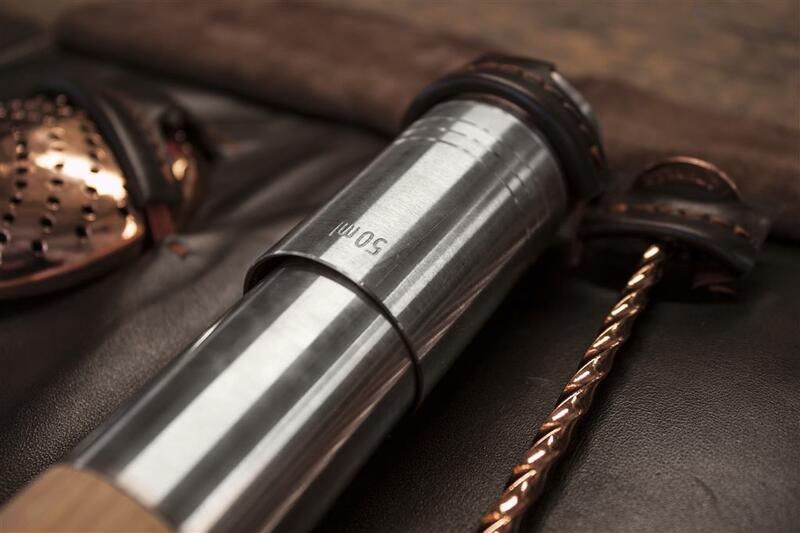 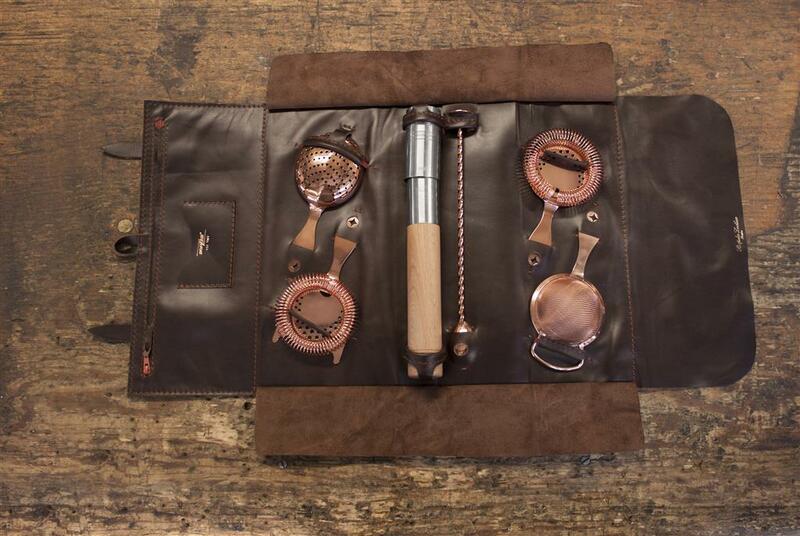 Premium hand crafted leather roll bag securely holds the Bonzer Bar Tools so they are available when you need them! 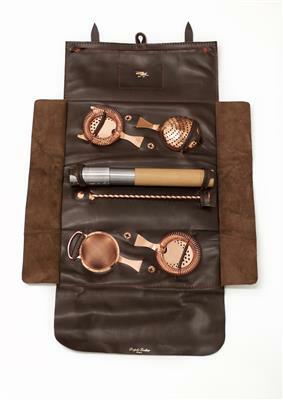 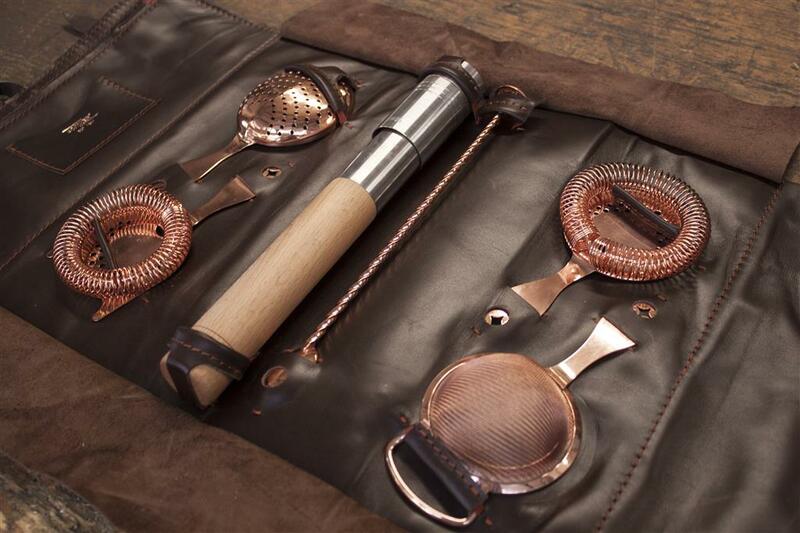 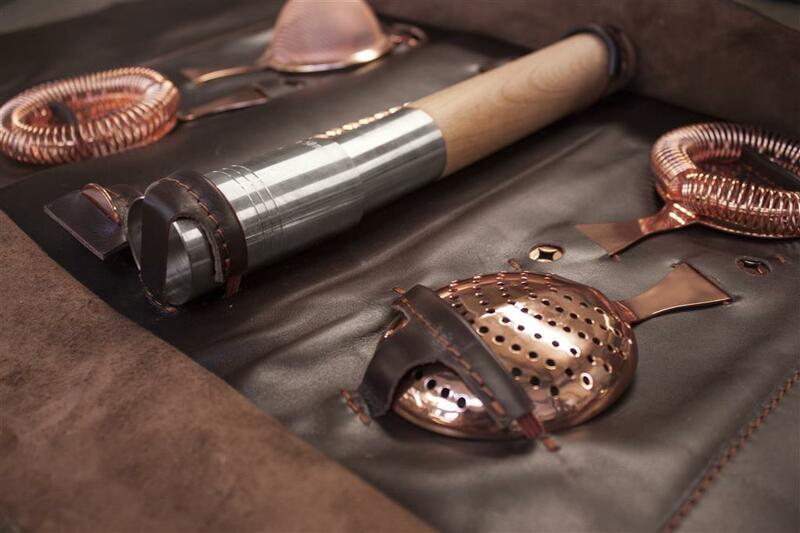 This kit features all the tools you will need to produce great cocktails with style. 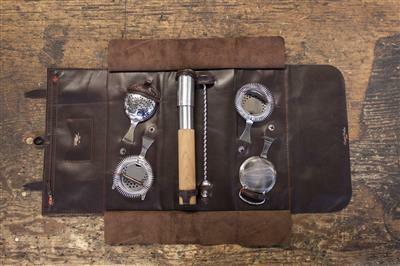 TOOLS IN THE KIT... 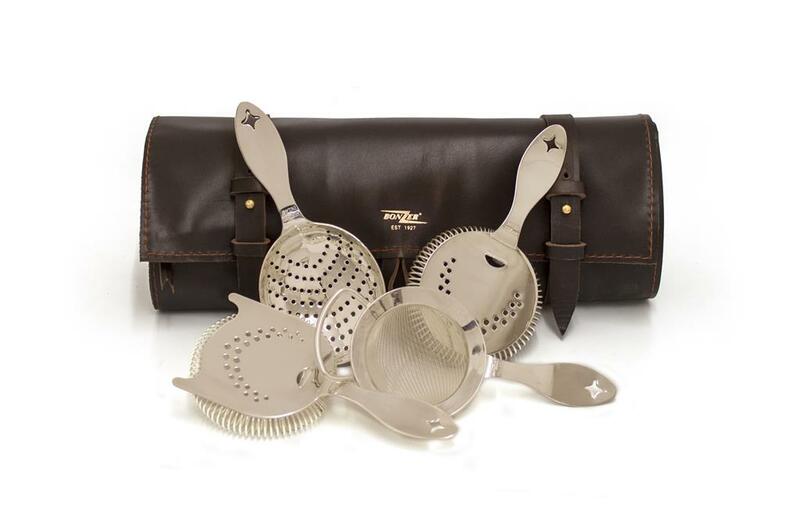 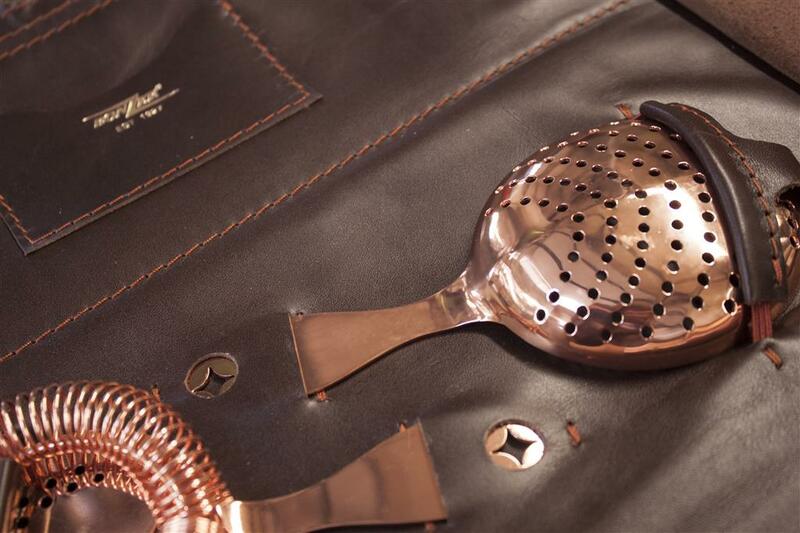 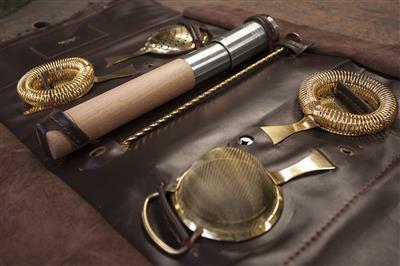 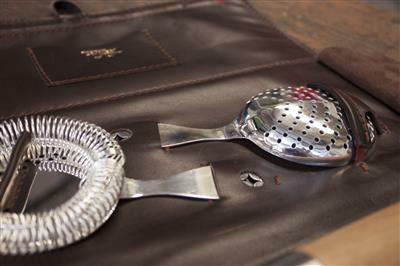 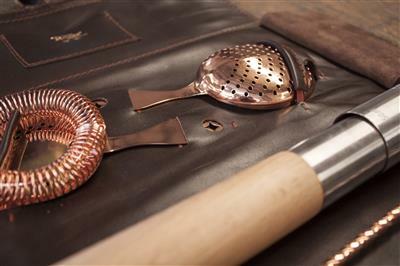 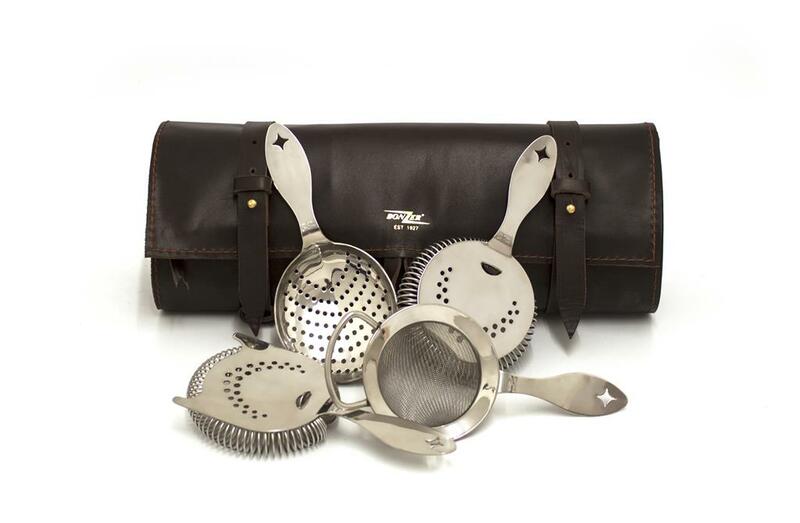 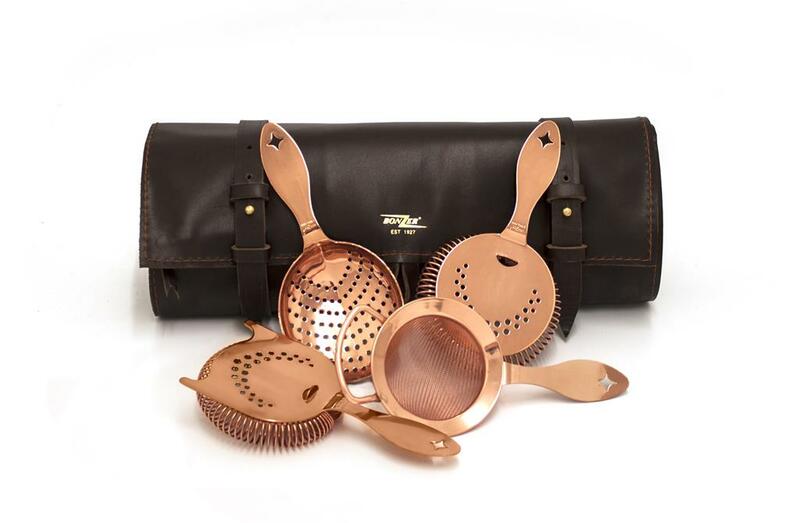 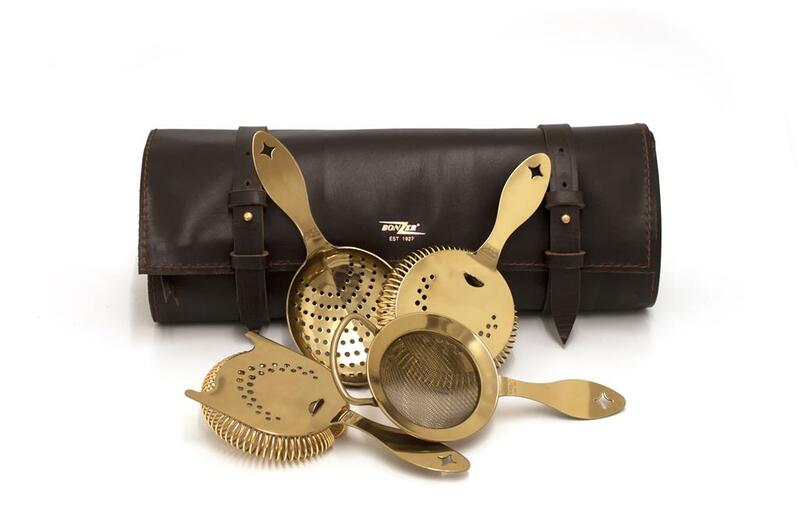 The Heritage Fine Strainer,Heritage Sprung Jupel, Heritage Fine Strainer, Heritage Hawthorne Strainer, Stainless Steel Half Half Wooden Muddler, 25/50 Jigger, Bar Spoon.Hanging Loop for bag, Tools secured by elastic straps, high quality leather, hand made from start to finish.